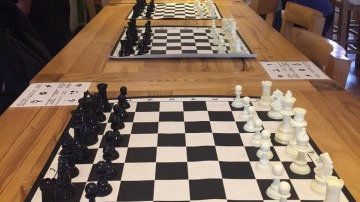 Participate in an amateur Chess tournament. This is not a drinking game. (This includes 4 games + F&B + a very polite arbiter). Participants below 21 will have to be accompanied by a parent/guardian. Share "Pawnstars XXV - Kemp's Corner"